While most people are aware of breast cancer, many people do not make it a necessity to get regular check-ups and detect the disease in its early stages. 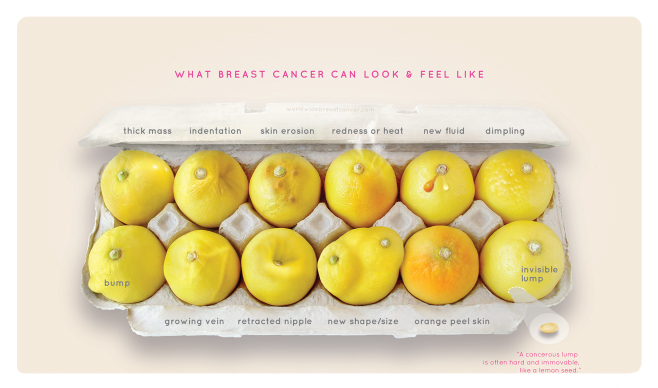 Some people do not know the symptoms and signs to look for when it comes to breast cancer. Before one checks for symptoms one needs to understand what cancer is. 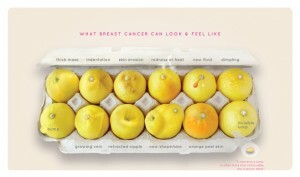 Breast cancer is a cancer that begins with the formation of a malignant tumour in the breast. A malignant tumour is a group of cancer cells that grow into nearby tissues or spread to other centres of the body. Every so often these symptoms are not caused by cancer. However you need to be examined by the doctor to confirm whether it is breast cancer or other reasons behind the symptoms or pain. It is crucial to remember that feeling no pain or seeing no symptoms or does not mean that you are safe. As seen in the image above, sometimes the breast can appear normal and show no signs or have no pain thus regular screenings are always important. Your doctor may check for breast cancer before you notice any symptoms. The doctor will ask about personal family history and perform a physical examination. The doctor may order one or more imaging tests like mammogram which can detect a lump before it can be felt and present any symptoms. If you have a chest pain similar to indigestion that’s there all the time and you get out of breath easily but never did before or as daft as it sounds, if your breathe constantly has bad odour please go to the doctors and ask for a mammogram. Save your life and go for screening today.